Use a reputable domain registrar, like Hover. Prices vary across countries and top-level-domain types (.com, .net, .org, .ninja etc), but expect to pay around $25 for a new domain for a couple of years. Buying a decent pre-registered domain from someone else can be considerably more expensive. Find the perfect domain name for your idea at Hover. Straight forward domain name registration and helpful support. No Hidden Fees. Name Your Idea Today. Get 10% off now. Fast. Scalable. Managed Hosting. 65% Off Today. Need a host that offers fast performance, fantastic tools for web geeks, best in class support and incredibly reliable hosting? Go for SiteGround. Get up to 65% off now. The pane allows you to set default sizes for large images, medium images and thumbnails. The defaults are reasonable but, the smaller your image dimensions, the smaller the file size and the faster your site will download. Permalinks are the URLs given to WordPress posts. The default is often a plain https://mysite.com/?p=123 which will not help your keyword-rich search engine optimization efforts! Set the permalink to Post name or something appropriate for your site. During installation, WordPress creates a single administrator account which has unrestricted access to all control panel functions. Never share those credentials: set up separate accounts for everyone who needs access. Users are the weakest point of any system — especially when they can choose their own simple passwords and happily pass credentials to anyone who asks! WordPress offers a range of roles and capabilities and it’s rarely necessary to give anyone administrative access. Even if you are the only content editor, it’s advisable to create another account specifically for daily writing and publishing tasks. To create new users, click the Users option in the menu followed by Add New. Enter the user’s credentials remembering to set strong user names and passwords. Posts: articles and blog posts normally displayed in reverse chronological order. Posts can be assigned to categories, tags, and may have alternative formats such as galleries and videos. Pages: static website pages normally displayed in a menu hierarchy – home, about us, contact us, etc. A page can be assigned a parent page and an order to ensure menus are created correctly. Both content types are accessed from the menu and look very similar. Double-check you are editing the correct content. You are likely to find default pages, posts and comments for the initial site — remember to delete them! (Deleted items are sent to the Trash and can be retrieved if necessary). At this point, I hope you have the final copy for all the content planned in step 2. No one ever does, but it’s worth adding as many pages as possible. This will allow you to see how menus and article lists are forming before making decisions about layout and themes. The visual editor can become difficult for more complex layouts. Inevitably, users will demand features such as tables or columns which may be difficult to edit or are not directly supported in the site’s theme. The HTML code can become messy when users have unrestricted control to change fonts, colors, and formatting. If you’ve gotten this far, you now have a working WordPress installation with several pages of content. How long did it take? Several hours? A few days? Now consider how painful it would be to lose everything. Disks fail. Databases corrupt. Users make mistakes. Sites are hacked. A rogue plugin could cause havoc. Hosts go out of business. There are any number of reasons why your carefully-created site could disappear. WordPress’s Tools > Export facility allows you to download all content as a single XML file. cPanel provides a Create Backup option. From here you can download a full website backup, just the files or just the database. Backing up all WordPress files is rarely required unless you have complex custom code or configurations. However, the database contains all the content and settings — ensure you download a copy. Unfortunately, WordPress’s success has made it a target. If you can gain access to one site, you may be able to gain access to a third of the sites on the web. Never underestimate your vulnerability. Your small blog is attractive because, unlike larger companies, you are less likely to have the knowledge or resources to thwart attacks. Some will attack you for the challenge or to cause malicious damage. However, the worst culprits sneak links into your content, place phishing sites deep within your folder structure, or use your server to send spam. Once your installation is cracked, it may be necessary to delete everything and reinstall from scratch. There are many technical options but being aware of the risks is most important. Never trust your users. Never trust third-party themes and plugins. Never avoid implementing a back-up plan! One reason for WordPress’s meteoric rise in popularity was the simplicity of theme development. It quickly gained thousands of free and commercial themes. Many are amazing. Many are an awful bloated mess. It’s tempting to install a theme immediately but this can be a mistake. You can only appreciate whether a theme is suitable once you have appropriate content to view. A free theme can rapidly become expensive if you need to pay for custom development to make your menu fit or have mobile layout problems fixed. In addition, it’s best to back-up your site before installing a theme which runs third-party code. Themes are installed and managed from the WordPress Appearance menu available to administrators. Click Add New to browse and search hundreds of themes on the WordPress.org theme directory. Any theme can be previewed, installed and activated using the buttons which appear when hovering over a theme. There are dozens of other sites offering free and commercial WordPress themes. These can be uploaded in a ZIP file by clicking the Upload Theme button. plugins run third-party code. The majority are fine but there’s no guarantee every one will be secure or compatible with your installation. will your critical plugin continue to receive updates and support? every installation incurs a performance hit. Misbehaving plugins can cause misery for WordPress editors. A caching plugin such as WP Super Cache or W3 Total Cache can noticeably improve WordPress performance. 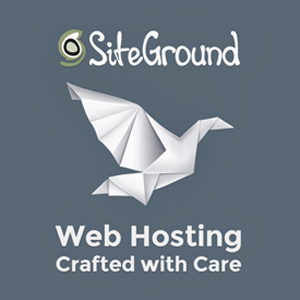 Hosts such as SiteGround provide their own caching solutions. If you’re using comments, a spam checker such as Akismet is so essential, it’s provided with most new installations. You just need to enable it. JetPack provides a number of free and commercial options to improve analytics, SEO, security, CDNs, embedded media and support. Yoast SEO can help improve content, readability and search engine indexing. To install plugins, log in as an administrator then select Add New from the WordPress Plugins menu. You can browse, install and activate plugins using the appropriate buttons. Remember to check the details, version compatibility and reviews before committing to an installation. Until this point, you have been working on a single, live WordPress installation. This process rapidly becomes impractical as you test themes, plugins and your own code. A single rogue command could break your entire system; both the site and administration panel could come crashing down. Web server software such as Apache or NGINX. The PHP language runtime with MySQL and other appropriate extensions enabled. A local installation of WordPress. A copy of the themes and plugins installed on your live server. Ideally, a snapshot of the current content would be useful. Fortunately, there are some simpler single-installers which do the hard work for you including MAMP, WampServer, and XAMPP. A better option could be an isolated virtual machine which runs Linux and all dependencies “within” your PC. This will be closer to your hosting environment which avoids cross-platform development issues. Popular options include Docker and Vagrant — both offer pre-configured WordPress systems. WP-CLI – a command line interface for WordPress which allows you to install updates and plugins. VersionPress – a version control plugin for WordPress built on Git. Host-specific options. For example, SiteGround provide Git repository management and a staging environment which creates a snapshot of your WordPress installation you can update and push live. A code editor or IDE such as VScode or Atom. MySQL management clients such as Adminer or phpMyAdmin. There is an infinite variety of ways to build a local environment and you may need to consider concurrent revisions by two or more developers. Start with a simple working system then evolve and improve your workflow over time. Why should your site look like 101 others? Consider developing your own WordPress theme. You’ll require some HTML, CSS and PHP knowledge but a custom theme offers more flexibility and better performance than any off-the-shelf option. Adapt a barebones theme. Options such as HTML5 Blank, Underscores, BlankSlate and Bones provide simple themes with minimalistic styling. Start from scratch. Create the minimum number of files (style.css and index.php) then evolve from there. You could use a combination of the two, i.e. copy code snippets from a working theme into your own files. WordPress theme development is reassuringly easy and fun for anyone with the appropriate development knowledge. That said, it could be a frustrating experience for novice coders. There are simpler options to learn coding — such as SitePoint courses, books and videos. Your theme’s functions.php file can contain PHP code which enhances WordPress functionality. For example, see 7 Ways to Make WordPress Simpler for Users. However, the file can become impractical for larger developments or functionality you want to use on another site. The answer: develop your own plugins. Again, WordPress makes development remarkably easy presuming you know a little PHP. Start with a simple example such as How to Customize the WordPress ToolBar then build your own plugins as you expand your knowledge. Congratulations for getting this far. You now have enough knowledge to install, configure, and enhance any WordPress system. Your skills have just become invaluable to one in three online companies who choose to deploy WordPress. Best of luck! Great article. Been developing with wp (php, perl, c++) for many years now. Unfortunately for many years since the final demise of IE6 (yikes!) Iâ€™ve always thought you couldnâ€™t use an ssl cert on a domain without a dedicated IP address. The other day whilst doing server upgrades (whm) including php to 7.1 blah blahâ€¦ I noticed a thing on â€˜auto-sslâ€™ in the whm interface. I clicked on it and lo and behold, all of the domains on my server had green indicators indicating SSL was activated! I couldnâ€™t believe this. So I went and checked one of the sitesâ€¦ and for real, it had the green lock. Logged into the Wordpress admin, searched for SSL in the plugins and walah! A bunch of them popped up. Installed the most popular one and now itâ€™s all green locked. This was not difficult, took only a minute or so! I did have to log out of the admin as it rejected my credâ€™s after the change, but I was happily surprised. I searched this topic, ssl without dedicated IP address, and found that it was the older BROWSERS, never the SERVER, that required the dedicated IP address for it to fully function! Manâ€¦ Iâ€™ve ignored this SSL issue for almost 10 years now. Perhaps if I did all this work full time, I would have kept up! Anyways, I read this article to see if I had been missing something stupid for all this time but when I saw the thing about https, I thought Iâ€™d chime in on my own â€˜dumbnessâ€™, and the magic I found with using a simple plugin that hooks the template headers/footers and changes the http thingy. Again, great article and cheers from Georgia.